Elevate your coffee ritual with limited release, single-origin coffee from Las Brisas de San Cristóbal, Costa Rica. At Bulletproof, we’re always searching for the most premium coffee—because when you drink something every day, you should enjoy it as much as possible. To create our Small Batch line, we partnered with farms all over the world to create the cleanest, most finely roasted, single-origin crops. These rare, distinctive beans from around the globe deliver unique and flavorful brews to your kitchen. Enjoy this limited release while it lasts. Elevate your morning ritual with coffee made high in the clouds of Costa Rica. San Cristóbal is a small agricultural town located in the mountains of Costa Rica. Isolated from other mills by up to 1,700 meters of elevation, it was difficult for the farmers to successfully cultivate their coffee. So, they worked together to find a solution. 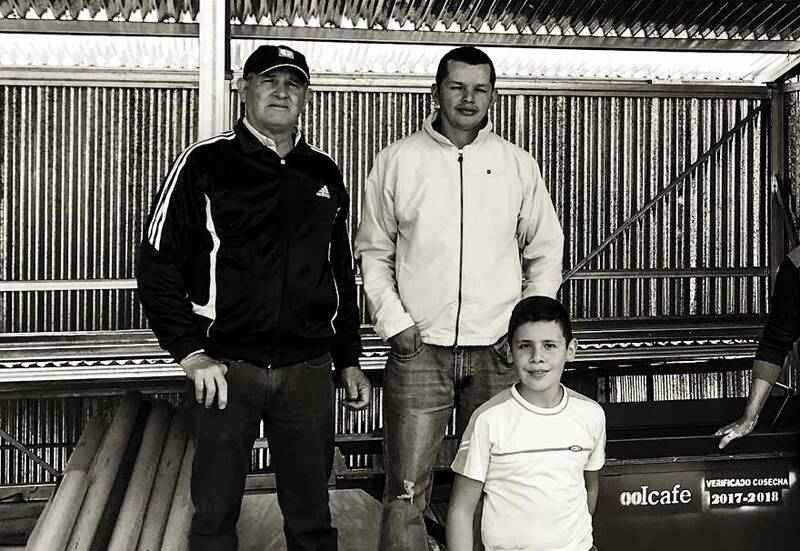 Twelve local farmers created Las Brisas de San Cristóbal—a small growers’ association that uses new and traditional techniques to grow the cleanest, shade-grown crop. 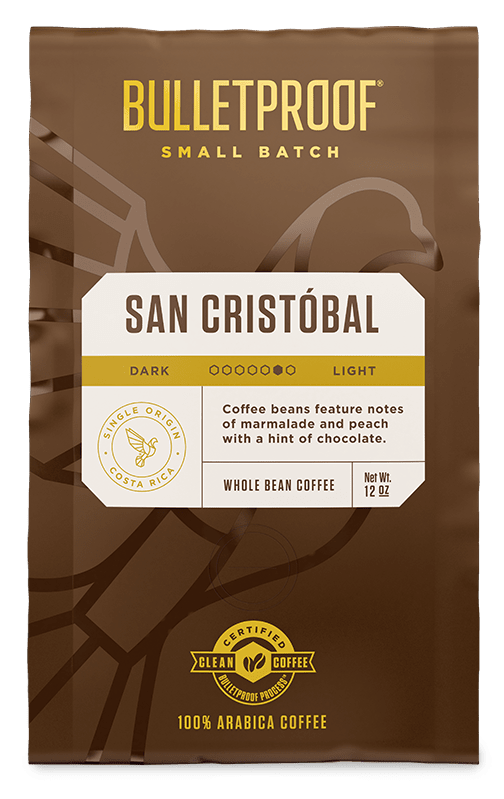 Now, the farmers of San Cristóbal can rely on coffee as a sustainable source of income year-round, and you can enjoy a truly outstanding light-roast brew. This limited release is full of radiant flavor: bright, juicy notes of marmalade, peach, and a hint of chocolate. Enjoy on its own, or to enhance your cup of Bulletproof Coffee.